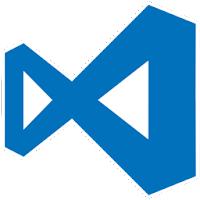 Microsoft's Visual Studio Code is a lightweight but powerful source code editor, available for Windows Mac and Linux OS. It's a development environment for viewing, editing, building and debugging modern web and cloud applications. It's an alternative to Atom or Sublime Text text editors. Like many other code editors, VS Code adopts a common user interface and layout of an explorer on the left, showing all of the files and folders you have access to, and an editor on the right, showing the content of the files you have opened. Visual Studio Code is based on Electron, a framework which is used to deploy Node.js applications for the desktop running on the Blink layout engine. Although it uses the Electron framework, the software does not use Atom and instead employs the same editor component (codenamed "Monaco") used in Visual Studio Team Services (formerly called Visual Studio Online). Visual Studio Code is a streamlined code editor with support for development operations like debugging, task running and version control. It aims to provide just the tools a developer needs for a quick code-build-debug cycle and leaves more complex workflows to fuller featured IDEs such as Visual Studio IDE. Help for Beginners: Begin your journey with VS Code with these introductory videos. The videos are designed to give you a quick overview of the various features of VS Code. VS Code is free for private or commercial use. It's required .Net Framework 4.5.2 or above to function properly. English, Simplified Chinese, Traditional Chinese, French, German, Italian, Japanese, Korean, Russian, Spanish. Large file support - Improved performance for large files, no size limit on 64-bit machines. 64-bit Windows builds - Use your computer's full address space with the 64-bit builds. Find in Markdown preview - Full search for Release Notes, Markdown preview, and Extensions. Auto-indent, Emmet 2.0 on by default - Source code auto-indenting and new Emmet support. Custom syntax highlighting - Easily adjust editor colors to your liking. Terminal environment variables - Preconfigure the Integrated Terminal environment. Color picker UI - Quickly create colors in your CSS, SASS, and Less files. Loaded Scripts Explorer - Easily review and step through loaded scripts during Node.js debugging. Markdown preview plugins - Add styles, scripts or plug-ins to Markdown previews. code.visualstudio.com updates - Tutorials for React, Angular and deploying Node.js to Azure. Preview: Multi-root workspaces - Settings and debug configurations across multiple projects (Insiders build). Disclaimer: Direct downloads for the lastest version of Visual Studio Code 1.33.0 are provided by the official software's author, we can't guarantee safety, availability or download speed. Moreover, we don't and we won't provide any pirated/illegal versions or tools. We recommend you to avoid it as these methods can harm your device. If you like the software, buy it to support the developers. (We provide software discounts for many worldwide brands).